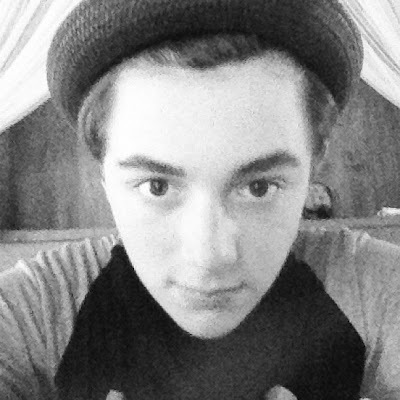 So what does a 15-year-old singer songwriter do for summer break after just finishing his freshman year in High School? He takes a two week trip to Bali Indonesia for a little sun and intensive song writing excercise! "Hey! I just passed ninth grade... Still three more to go. Yikes." By Sunday evening Greyson was packed and ready to roll when he tweeted that a 13 hour international flight was in store for him causing fans to start speculating where the singer songwriter was going. So we started snooping around a little bit, because that’s what Ninjas do, and uncovered some interesting information. It seems that Greyson has signed with a NEW management company - Bill Siva Management, and Greyson is now listed as one of their clients! Then we uncovered that Bill presents an annual song writing intensive for his clients every year in Bali Indonesia, usually during May or June, called the “Bali Song Writing Summit” with sponsorships from various record labels. So, we suspect that Greyson may very well be on “vacation” in Bali but surmise that he is also taking part in Bill Silva’s annual Bali song writing summit program. But we can't confirm that for sure and Greyson has not mentioned it so it is only clever speculation. We think EVERY Enchancer should start following Bill on Twitter at @billsilvamgmt to show our support for Greyson. 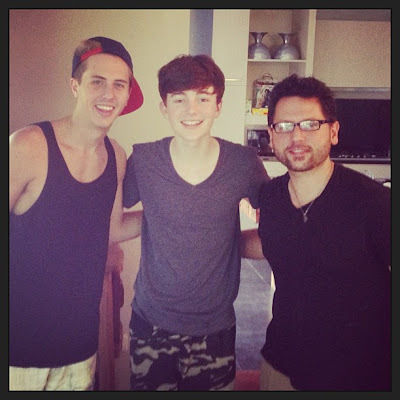 We should all tweet him and thank him for working with Greyson and tell him how much we love his music and look forward to the results of their partnership. 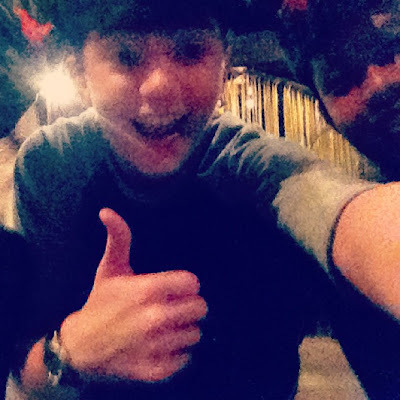 And Greyson has already posted a few photos from Bali that indicate he is having a good time and making new friends! 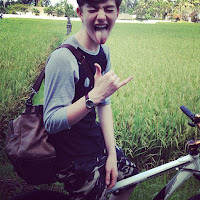 In Bali, that lizard is called a “Cicak”, so we ran a little Twitter trend to replace some of Greyson’s song lyrics with “Cicak” and within minutes it was the number one trending topic on Twitter in Indonesia - and at one point Greyson had BOTH the #1 and #2 spots on the top trend list. Yesterday Greyson posted a picture of himself riding a bike around the island and to his fans surprise he was wearing short pants!! Greyson Chance Biking in Bali in Short Pants - OMG! 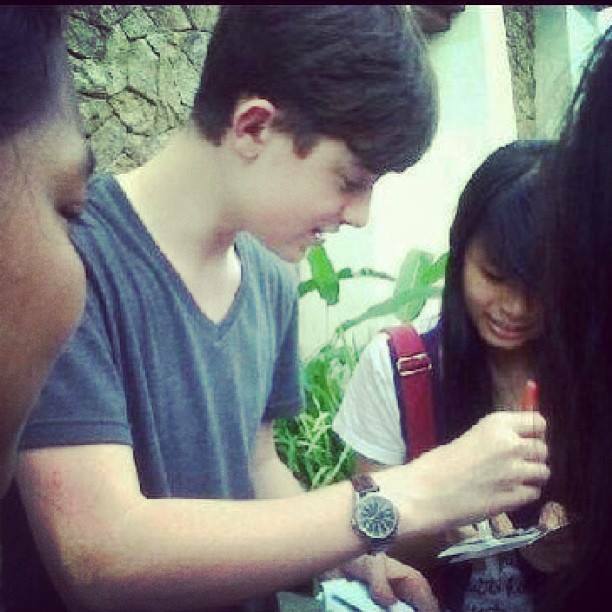 Greyson Chance shirtless in a pool in Bali! 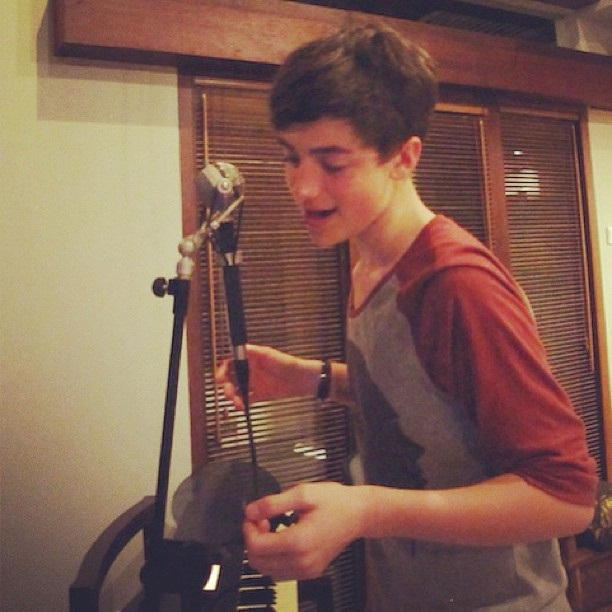 Greyson Chance in the studio in Bali making music! Greyson also tweeted that he had visited the Bali Jazz Café in Ubud and that is was “Off the chain”. 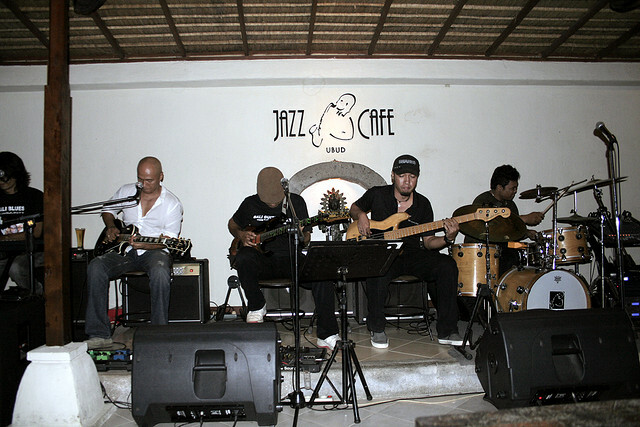 The Bali Jazz Café has become somewhat of a landmark of the Bali music scene and was started by Agung Wiryawan and his wife Nina. Agungs loved to play jazz music and his wife loved design so they created a place where musicians could get together and jam in a stylish and intimate setting. Greyson visited the Bali Jazz Cafe in Ubud - "Off The Chain"
We can see why Greyson would like the Jazz Café because it is a very intimate stage setting and Greyson always talks about preferring the small intimate settings over big arena type shows. We’ve also learned that it rains a lot in Bali in the summer! 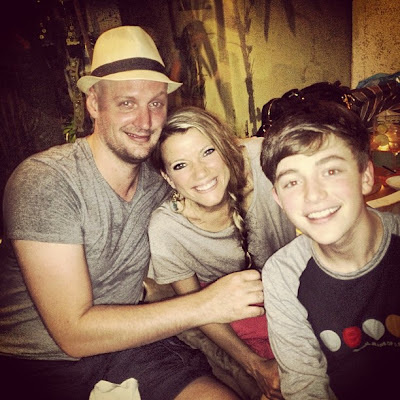 It seems Greyson is keeping most of his trip on the down low and not giving away too many details about what he is doing… but you know us…. we’ll keep digging. We have created an album on the Greyson Chance Universe Facebook page with all of the pictures that Greyson is tweeting and posting to his Instagram along with other photos taken by fans who have spotted him in Bali. 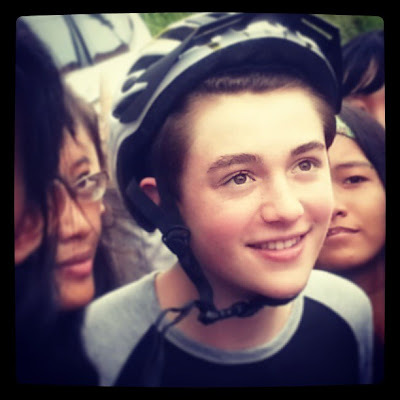 Keep watching our blog for more updates on Greyson’s trip to Bali as it unfolds. yea... I saw the trend but didn't know what Cicak was until now. You guys are amazing. I hope the new song of tbt part 2 will be an amazing! 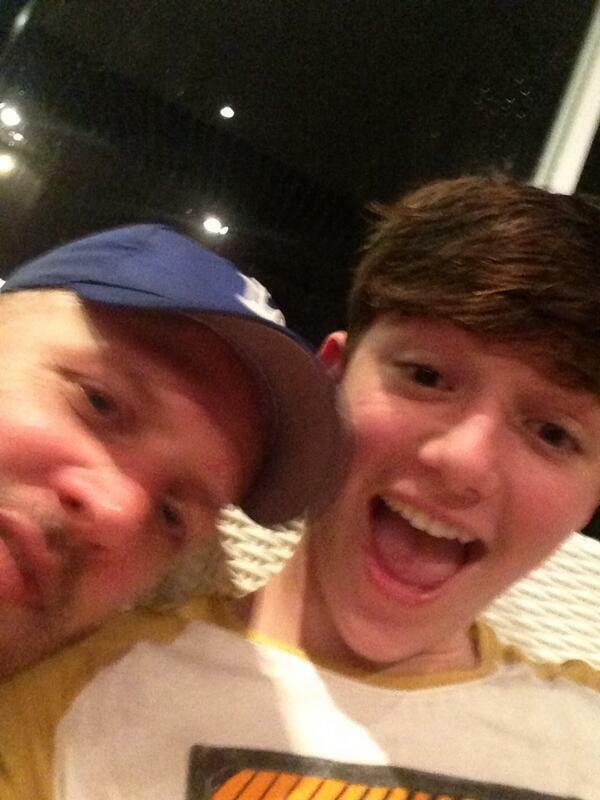 3ree6ixty Me and my new homeboy @greysonchance on Bali! Kid is 15 and so smart and most of all humble after having some crazyyyy success !!! Look him up he sings like a grown man!!! I'm going to like TBT part 2 for sure. woh! 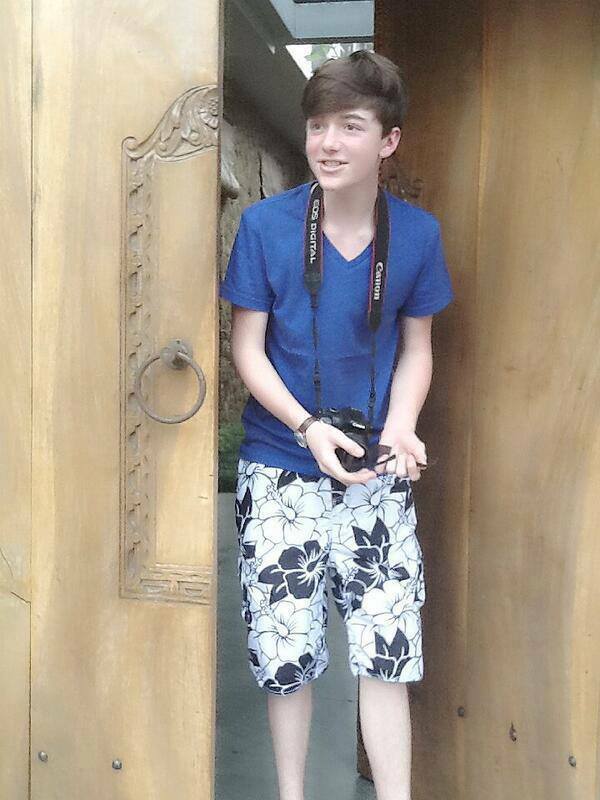 he is so amazing.i'm so happy to see your picture in bali. It is so amazing...I love music so much...Hope you come again to the Bali. 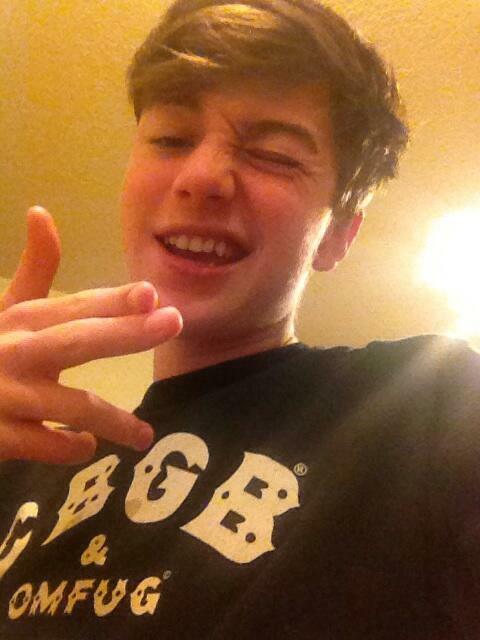 TRANSCRIPT - Greyson Chance Twitter Q & A Session - Oct 30, 2012 - So, Who Is Leila?